Or carton. Or whatever else you use to store your eggs. 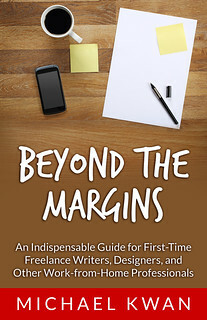 When you decide to go into business for yourself as a freelance writer, graphic designer, app developer or whatever other profession, you’ll have to make many other decisions along the way. You’ll have to choose how you want to set up your accounting books, deciding whether you’ll enter the dollar figures as your perform the work or as the actual money is received, for example. Another decision you’ll have to make is how you want to approach clients… or rather the number of clients you want to approach. I Thought You Said Less Is More? If you’re a long-time reader of this blog, then you might remember a post I published way back in 2008 where I said that it is better to have fewer clients than it is to have too many. By having fewer clients, you’ll minimize a number of the secondary and administrative tasks you’ll need to perform. The accounting will be simpler, you’ll likely have to deal with fewer e-mails, and your attention will be split in fewer directions. It’s also true that the single best source of freelance jobs is your existing client base. If you want more work, you just have to ask for it. They’ll already know what you can do and you’ve already set up a workable business relationship. Tacking on an “extra” project with an existing client is far easier than taking on a new client altogether. This falls in line with the Pareto principle, also known as the 80/20 rule. Chances are that the most of your cash flow is coming from a select few, so you may as well focus your energies on those 20% of clients that bring in 80% of the money. That makes sense, right? Yes, for the most part, having a smaller client list wherein each individual client brings in more money is the preferred way of doing business, particularly when you are a company of one and you only have so many hours in the day. However, you have to be careful not to take the Pareto principle too far. One of the advantages to being a freelancer in the first place is that your success is not intimately intertwined to any one project or any one client. This is something I mentioned when the worldwide economy was in the middle of a recession. If you whittle yourself down to having only one client, you are effectively re-entering the more conventional employee-employer arrangement, without the associated benefits of that kind of relationship. In a sense, the biggest reason why you wouldn’t want to put all your freelance eggs in one basket is that freelancers are able to hedge their bets, so to speak. Just as it is important to diversify your investment portfolio, you may also choose to diversify your freelance portfolio. There are going to be factors outside of your control; if one of your biggest clients suddenly can’t afford to pay you anymore, you’ll necessarily see a huge hit to your bottom line. And that’s where your other clients can (hopefully) help to pick up the slack and carry you through to the next stage. That being said, going “all in” with a client or project with the biggest upside could yield the largest and more lucrative results. The question is whether that’s a gamble you’re willing to take.